Twelve Must-See Movies For 2016 | Warped Factor - Words in the Key of Geek. Start saving now, as you'll be handing over lots of cash to your local multiplex throughout 2016. 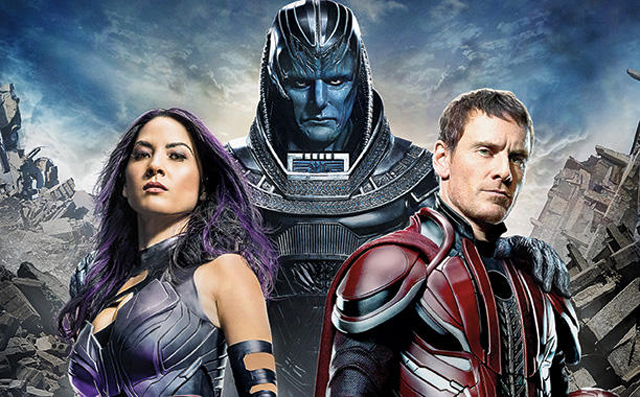 2015 has been a brilliant year for film, if you're a geek that is (and if not, why not? ), and thankfully 2016 looks like it'll be continuing the trend. So we've rounded up twelve of the movies which we're looking forward to the most and compiled them into one handy digest for you to peruse. We all know that Ryan Reynolds has been in a LOT of bad movies, however this does not look like it's gonna be one of them! You've likely already watched the NSFW trailer above and it's clear we're getting a no-holds barred R-rated Deadpool movie. And we wouldn't want it any other way. The follow-up to Man of Steel and the springboard for the new DC Comics' Shared Universe Films. As the name allows you to infer Batman v Superman: Dawn Of Justice will see Superman and Batman going toe-to-toe, after Cavill's Superman’s battle with General Zod resulted in very personal collateral damage for Affleck’s Bruce Wayne. We already know that Cyborg (Ray Fisher), Aquaman (Jason Momoa), and Wonder Woman (Gal Gadot) make their introductions here in some capacity, we can also expect to get our first glimpse of Ezra Miller’s The Flash and possibly other DC superheroes too. 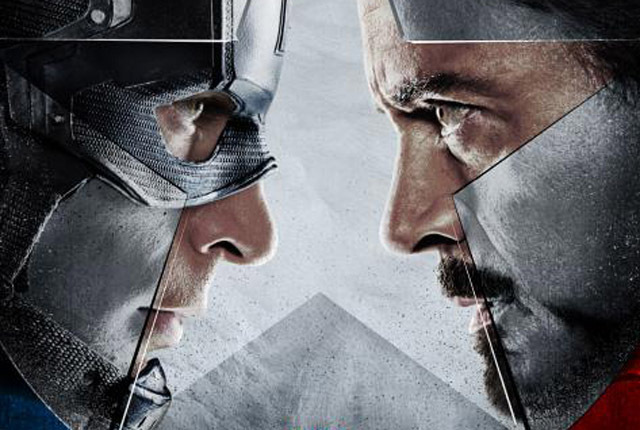 Captain America: Civil War is almost a who's who of the MCU. Starring Chris Evans (Captain America), Robert Downey Jr (Iron Man)., Scarlett Johansson (Black Widow), Sebastian Stan (Winter Soldier), Anthony Mackie (Falcon), Emily VanCamp (Agent 13), Don Cheadle (War Machine), Jeremy Renner (Hawkeye), Chadwick Boseman (Black Panther), Paul Bettany (Vision), Elizabeth Olsen (Scarlet Witch), Paul Rudd (Ant-Man), Frank Grillo (Crossbones), and Tom Holland who is making his debut as Spider-man. So it's sorta Avengers 2.5, yet watching the trailer above I'm sure you'll agree that it still feels like a 'Cap' movie. Possibly the best one yet! We've done the 60's in First Class, the 70's in Days Of Future Past, and now, in what is described as an “extinction-level event”, we're going back to 1983 as the mutants join forces in order to battle the titular Apocalypse (played by Oscar Isaac) after he assembles his four horsemen; Magneto (Fassbender), Angel (Ben Hardy), Storm (Alexandra Shipp), and Psylocke (Olivia Munn). It's the culmination of what has been a brilliant trilogy so far, and from everything we've heard so far it's unlikely to disappoint. And now we can finally check out what's in store, thanks to the first trailer (above) released today. Fleeing their dying home to colonize another, fearsome orc warriors invade the peaceful realm of Azeroth. Based on the Warcraft video game series and novels set in the world of Azeroth. The film stars Travis Fimmel, Paula Patton, Ben Foster, Dominic Cooper, Toby Kebbell, Ben Schnetzer, Robert Kazinsky, Daniel Wu, Ruth Negga, Anna Galvin and Clancy Brown. Warcraft portrays the origin story of the initial encounters between the humans and the orcs, with an emphasis upon both sides of the conflict, and will take place in a variety of locations established in the video game series. But from the look of the trailer it's not just going to be for fans of the MMORPG, rather it's shaping up to be one of the BIG Summer blockbusters of 2016. One of those "few brave men" is Jeff Goldblum. Need we say more? Set twenty years after the first invasion, the aliens return for a second go at conquering Earth. Goldblum and co will be using the salvaged alien technology they've been studying for the last two decades to fight back against the invaders. It's going to be big. There's going to be things blowing up. It may well be the perfect popcorn movie for the Summer months. 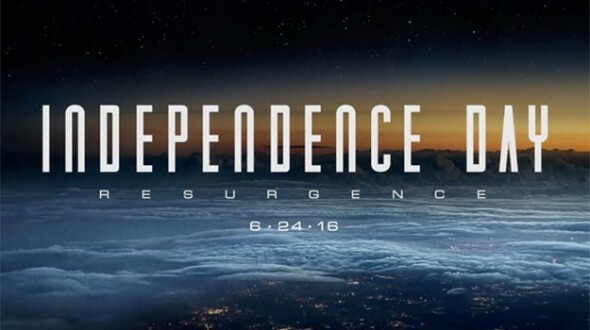 And there you go, the first trailer for Independence Day: Resurgence is above. 2016 is the 50th Anniversary of Star Trek and, as was recently announced, shortly afterwards the franchise will be returning to television with a brand new series. But before that premieres we have the small matter of the third cinematic outing for the reboot crew. That's Chris Pine, Zachary Quinto, Simon Pegg, Zoe Saldana, Karl Urban, John Cho and Anton Yelchin, who will be joined by Idris Elba as the movie's villain. Elba's character doesn't have a name yet but it likely won't be John Harrison. Simon Pegg has co-written the script with Doug Jung, and we are promised more space exploration and less homage. There's no J.J. either, so expect substantially less lens flair too. 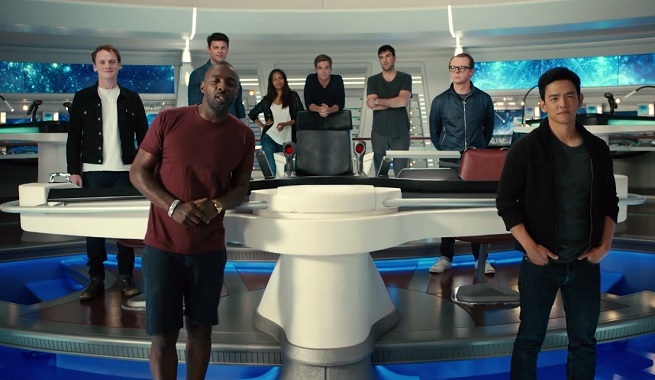 Yep, that's the first trailer for Star Trek Beyond, and very good it looks too. There are a lot of big animated movies out in 2016 (Zootopia, Secret Life of Pets, and Kung-Fu Panda 3, Angry Birds to name but four) but the sequel to Finding Nemo is surely the most anticipated of them all. Even though there will have been a 13 year gap between films, this movie is set 6 just months after Finding Nemo. Both DeGeneres and Brooks return to voice their characters, young Nemo, however, has been recast - presumably down to nature taking it's course! The second DC Comics movie in our list revolves around a group of anti-heroes who take on dangerous missions for the government in exchange for commuted sentences. Will Smith plays Deadshot, Margot Robbie is Harley Quinn, Jared Leto is The Joker, Jai Courtney is Captain Boomerang, Joel Kinnaman is Rick Flagg, Cara Delevingne is Enchantress, and Viola Davis plays Amanda Waller. Plus expect a cameo from Ben Affleck's Batman. Suicide Squad looks like it'll be a dark, sinister feature, and one which potentially could be better received than Batman V Superman: Dawn Of Justice. 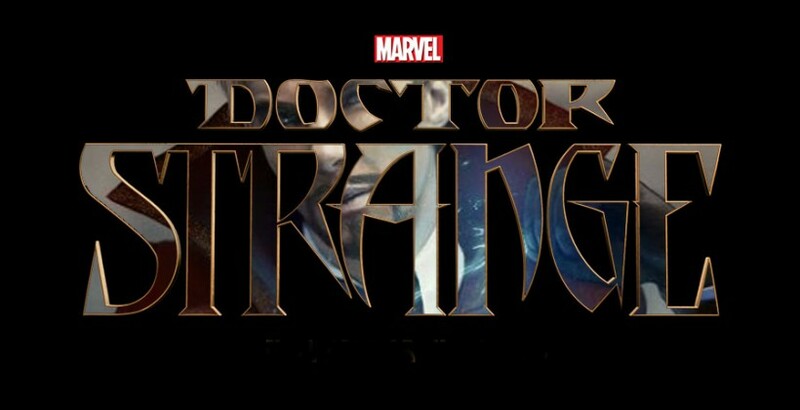 Benedict Cumberbatch brings the mysticism as he headlines the fourteenth installment of the Marvel Cinematic Universe. Joining him is Tilda Swinton as eventual mentor The Ancient One and Chiwetel Ejiofor as the villainous Baron Mordo. The Harry Potter spin-off is pretty much guaranteed to get the box office tills ringing. 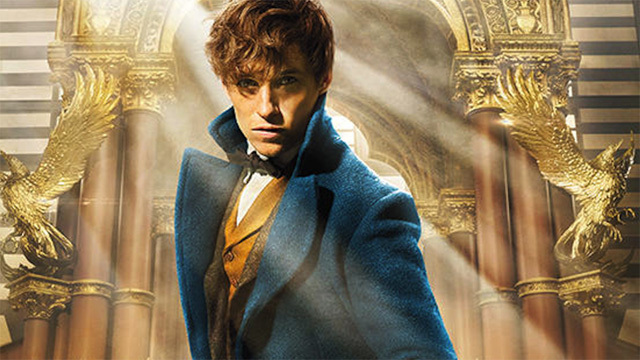 Starring Eddie Redmayne as Newt Scamander, the story is set about 70 years before The Philosopher's Stone and revolves around Scamander's arrival at the Magical Congress of the United States of America, for a meeting with an important official. Central to the story and this meeting is a magically expanded briefcase which houses a number of dangerous creatures and their habitats. When the creatures escape from the briefcase, it sends the American wizarding authorities after Newt, and threatens the state of magical and non-magical relations. Fantastic Beasts And Where To Find Them is the first in a new trilogy of movies. David Yates (director of 4 Potter movies) returns behind the camera, with JK Rowling providing both the story and screenplay. In what is rapidly becoming the biggest week ever for debut trailer releases, Fantastic Beasts gets in on the act with the nice teaser above. Set before A New Hope, the first Star Wars spin-off movie centers on a group of rebel fighters on a mission to steal the plans for the Death Star. 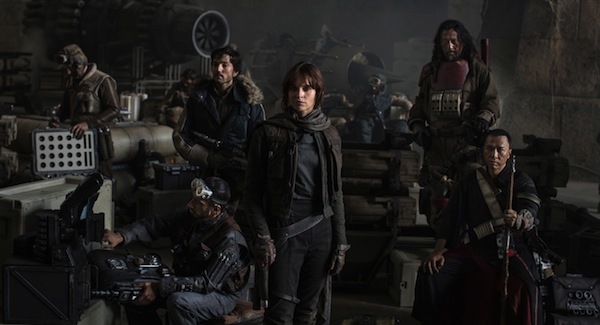 Directed by Gareth Edwards, Rogue One: A Star Wars Story stars Felicity Jones, Diego Luna, Riz Ahmed, Ben Mendelsohn, Donnie Yen, Jiang Wen, Forest Whitaker, Mads Mikkelsen, and Alan Tudyk. Expect a teaser trailer to appear before Star Wars: The Force Awakens, and expect us to update this list when it does! That's our pick of the twelve must-see movies for 2016. Which ones are you most looking forward to? Let us know in the comments below.